Marcel Claro is currently research fellow at the Laboratory for Nanostructured Solar Cells. He focuses his research in the Molecular Beam Epitaxy (MBE) of quantum dots, chalcopyrite thin film solar cells and two-dimensional chalcogenide materials. Marcel studied physics at the University of São Paulo – USP (Brazil) wherein his also received his master (2013) and then PhD (2017) for his work on infrared photodetectors based on quantum dots and quantum well. 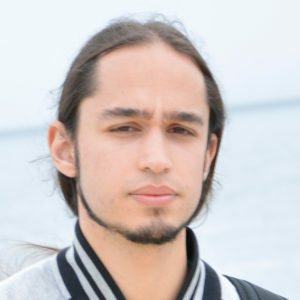 Since then, Marcel worked as a research fellow at the Molecular Beam Epitaxy Group at the City University of New York – CUNY (USA), before he joined INL in September 2018. His early projects are focused in the growth, processing, characterization and integration of infrared photodetectors based on III-V, II-VI semiconductor heterostructures and also in the epitaxial growth of topological insulators (Bismuth Selenide). Claro, M. S., Fernandes, F. M., da Silva, E. C. F., Quivy, A. A.